Find and remove similar images. 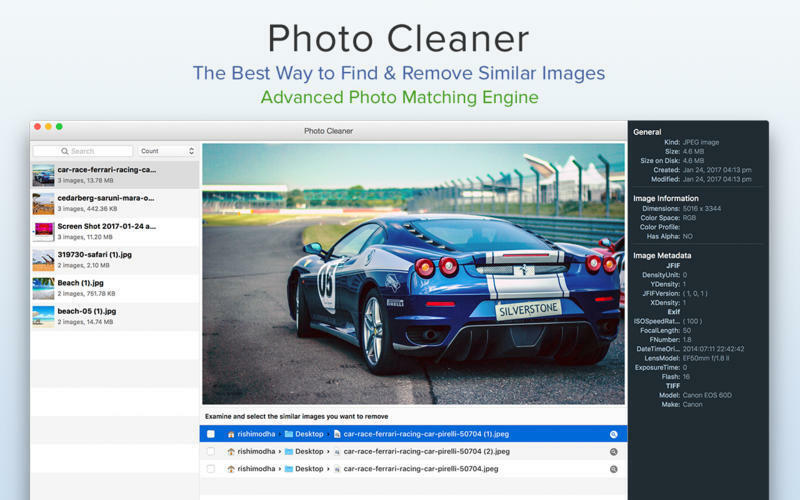 Is there a better alternative to Photo Cleaner? 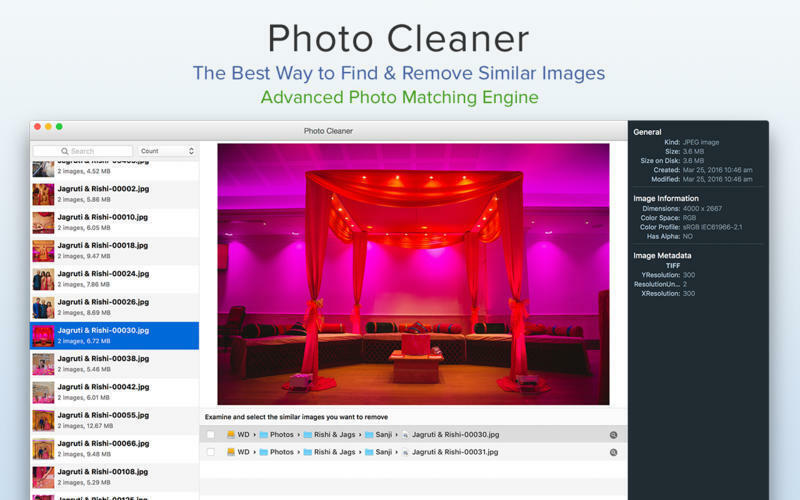 Is Photo Cleaner really the best app in Photography category? Will Photo Cleaner work good on macOS 10.13.4? 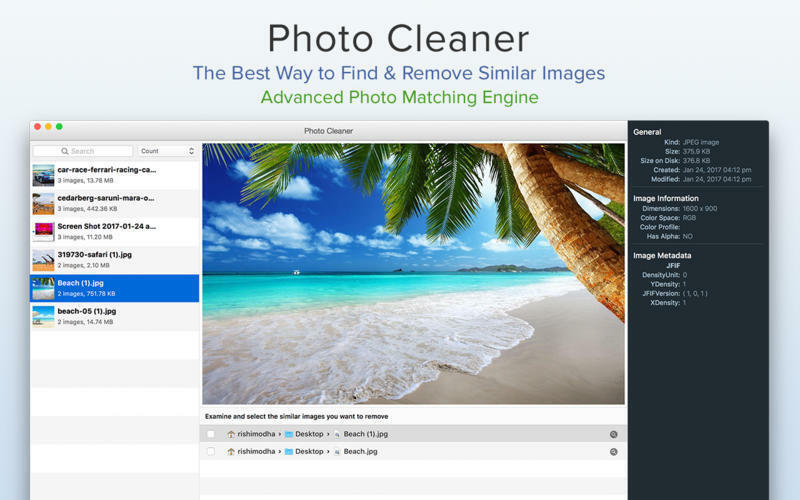 Photo Cleaner is a handy tool that helps you find groups of similar images and photos, so that you can easily identify potential files to remove and save on precious disk space. It's perfect for sorting through and organizing thousands of holiday pictures or wedding photos. If you or your photographer has been a little too trigger happy, you can often find dozens of very similar images that serve no real purpose. 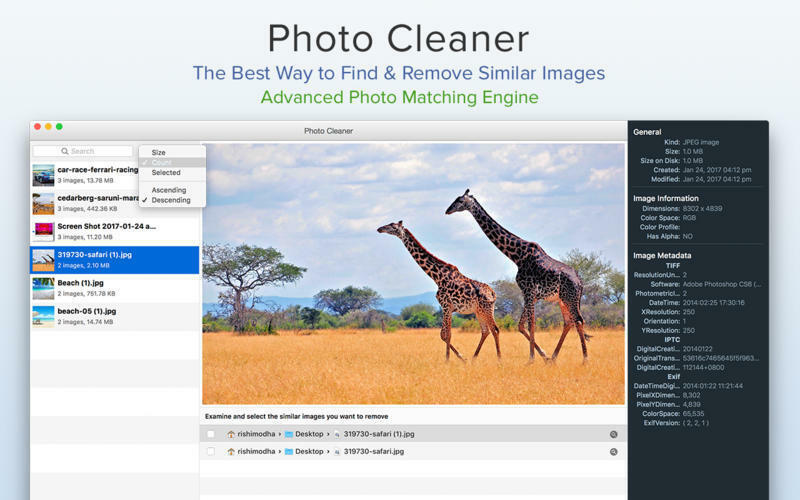 Use Photo Cleaner to find the best photos and then remove the unwanted similar photos with just a few simple steps. Photo Cleaner needs a review. Be the first to review this app and get the discussion started! Photo Cleaner needs a rating. Be the first to rate this app and get the discussion started!